Upserve POS offers a simple design, live reporting and customer intelligence so you can focus on your guests. 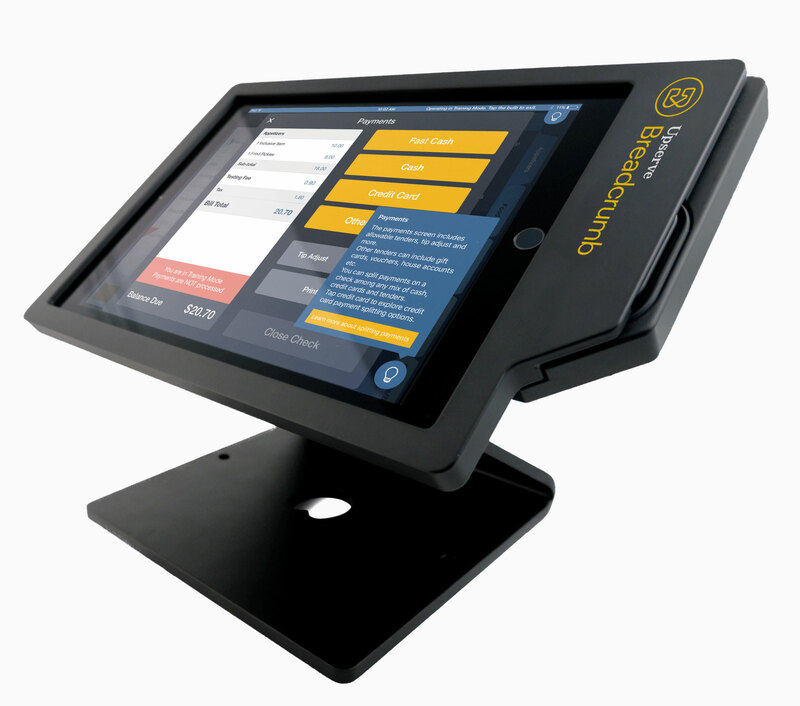 Learn why businesses in the hospitality industry are choosing our iPad restaurant POS. Starting a tab shouldn’t be a multi-step process. Upserve’s check management tools make it easy to find, split and close out checks with ease. Our EMV-enabled payment processing system has built-in gratuity options, simple tipping and on screen signature. When they’re in a rush, finding the bill fast is as simple as a card swipe. When they want to take things slower, deliver meal courses in waves with our Hold & Send feature. "Super great and easy! It’s very user friendly, there is no confusion." "One of the Best. This Point of Sale system is one of the easiest ones I have used...The best benefits of this system is the amount of training. The vast amount of time that it takes to train both front of the house as well as back of the house is so minimal. Most POS systems require hours of training and errors that can be extremely frustrating. We installed this system and people just started working on it with zero training. " 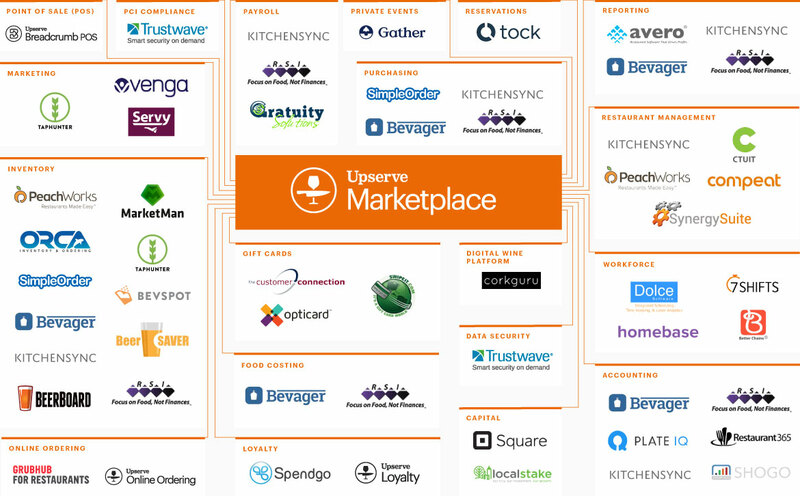 "Upserve provides a lot of useful information about one’s business. It’s been helpful in tracking sales, trends, and many other useful pieces of knowledge." Customers expect you to be fast, efficient and on-point, every time. But when your team isn’t communicating well, that gets tough. Upserve’s Kitchen Display System feature improves communications between your front of house and back of house staff. 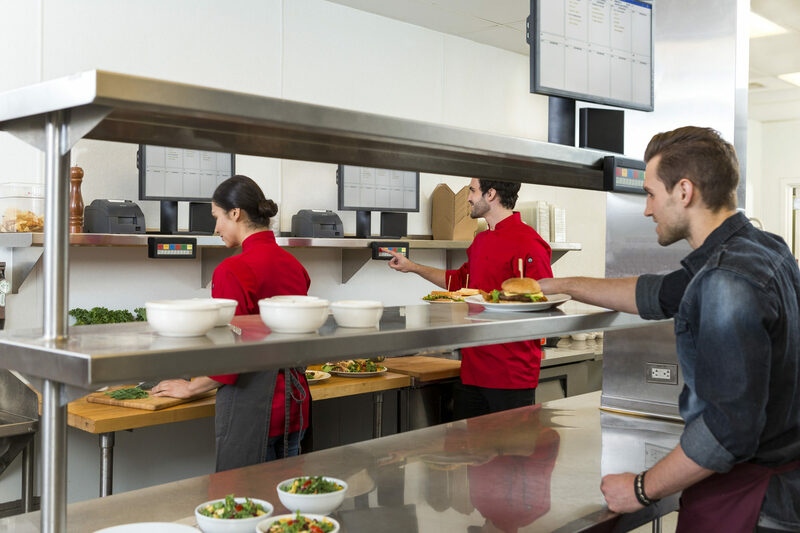 By improving order flow between servers and kitchen staff, you can set target times for meal preparation and speed up orders with ease. Your hotel prides itself on prompt, high-quality service, no matter what the request. Upserve POS supports these needs by providing an intuitive, customizable interface that works with every occasion. In fact, everything about our POS features are flexible and customizable. Track your repeat guests and know when it’s a big anniversary, or see who’s the most worth swooning based on purchase history. A hotel restaurant seems like an ordinary eatery – but it’s actually a whole different ball game. Our hospitality POS integrations have the grit and wits to help you market and sell better. Not sure if your servers stack up to corporate standards? Use Servy, a mystery dining platform, to check in on these interactions. Or, use our tools for customer relationship analytics and be guided on how to interact with returning guests. When customers leave your hotel happy, they won’t hesitate to return. That’s why our hospitality POS software comes with built-in tools for establishing and maintaining customer loyalty. Keep tabs on their visits by accessing Guest Book – a customer intelligence feature that tells you what they ordered, when. Check up on their reservations and have their favorite bottle ready, no questions asked. …and never let a review go unanswered again. Social media engagement is critical in the modern era. But, it also takes a great deal of time – until now. Our reputation management features make it easy to see what guests are saying. Access reviews from Yelp, TripAdvisor, Facebook and OpenTable all in a single spot. With first-hand customer reviews at your fingertips, you’ll have more time to make things right. The hospitality industry is constantly changing. From catering to millennials to meeting new technology, your ability to stay relevant is your secret to staying afloat. At Upserve, we’re no stranger to hotels and resorts. We know what your staff is up against – and we also know what keeps you up at night. That’s why our POS integrates with industry leading technology partners for management across employees, inventory, and customer processes. From the doorman and valet to hostesses and servers, your staff ranges far and wide. Whether you’re using leading accounting tools or you’re looking for a better payroll system, we’ve got you covered. We integrate with the best of the best in employee management software, including PlateIQ, KitchenSync, RSI Solutions, and more. Whether you’re cutting checks or tipping out, these integrations save you time and stress. When a VIP customer orders the foie gras, it’d better be in stock. 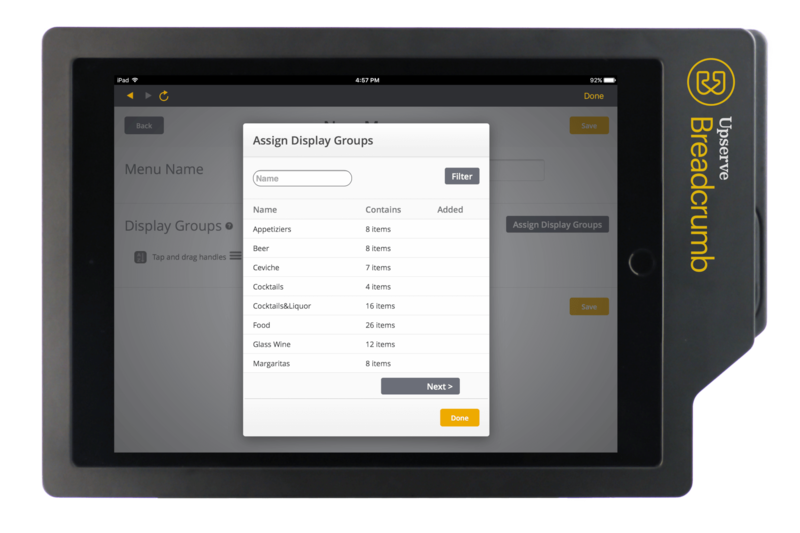 Our integrations for inventory intelligence ensure that your menu and inventory stay aligned. Instead of tracking your goods manually, integrate your hospitality POS with a tool that will count items and automatically reorder when they’re low. Save hours on inventory processes with a tool that helps you strategize, budget and substitute menu items based on market prices and demand. When you need us, we’re here for you. Whether you have a simple question or you’re in full-disaster mode, our knowledgeable, US-based staff is always on call to help.